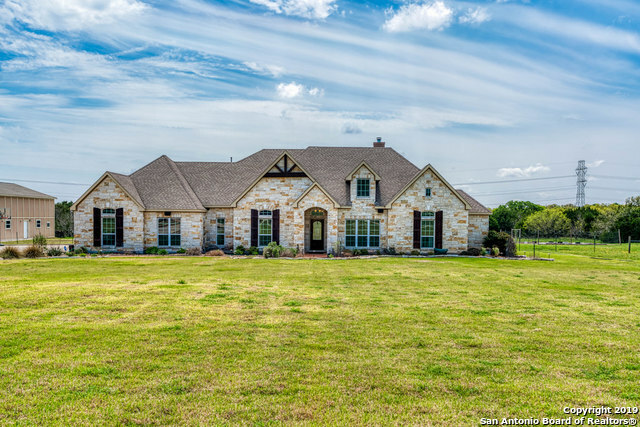 All COMAL TRACE homes currently listed for sale in Bulverde as of 04/18/2019 are shown below. You can change the search criteria at any time by pressing the 'Change Search' button below. "OPEN FLOOR PLAN BEAUTIFULLY PROPORTIONED ROOMS LUXURIOUS UPGRADES 3 BED 3 BATH CUSTOM HOME STUDY SOARING 10, 12 & 14 FOOT CEILINGS. CROWN MOULDING, ARCHED DOORWAYS 8 FOOT DOORS STONE FIREPLACE AMPLE 42 CABINETS GRANITE COUNTERS HIGH END APPLIANCES TILE & HARDWOOD FLOORS BEST OF MODERN LIVING AND TIMELESS ELEGANCE LUXURIOUS MASTER RETREAT FEATURING JACUZZI TUB AND SEPARATE WALK IN SHOWER WOOD BLINDS, WATER SOFTNER,2 W/H NEW ROOF STONE WALKWAYS PERGOLA PRIVATE BACK YARD ON A PREMIUM 1.57 ACRE C"
"Country Living yet convenient to Shopping & Services. Beautiful Single Story Custom Rock House on 1.26 Acres, RV Parking, 35 Amp Service and Water!! No rear Neighbors, Gorgeous Oaks. Built -Ins &Storage Galore, High Ceilings, Wood Floors, Plantation Shutters, Cantilevered Ceilings with Crown Molding, Updated Kitchen, Granite Counters & Sink Master Bath Updated Garden Tub and Walk-in Shower. 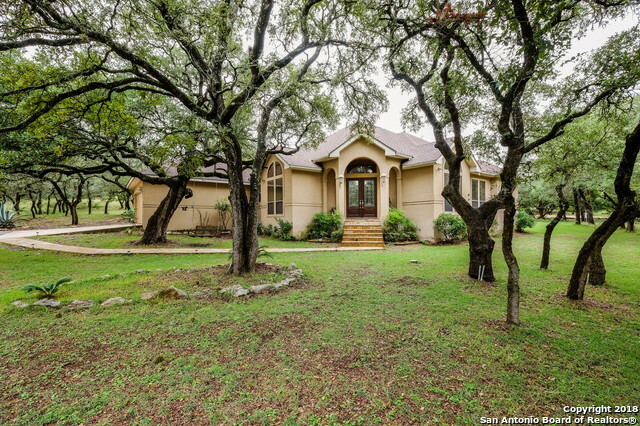 3 Bed 2.5 Baths Office/ Study, Wet sink in Utility Room,2 Water Heaters, Water Softener, Irrigation, So m"
"Looking to move to the Hill Country this is your home. Beautiful 3/2 w/office, dining & family room on 1.2 acres. Kitchen is bright and open w/windows to look out to your amazing oasis back yard. There is a sitting/family room right off kitchen that has a beautiful fire place. Huge Patio for those fun outdoor BBQ's. You will love this floor plan. The curb appeal/landscaping on this home is absolutely beautiful. Did I mention the Beautiful trees this lot has, just stunning. Come see today wont"